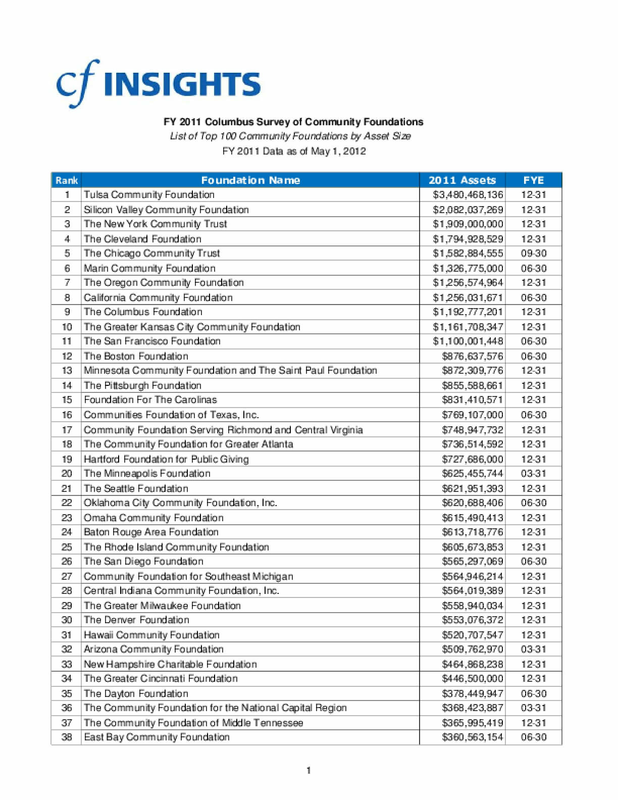 Includes results of the FY 2011 Columbus Survey of Community Foundations that pertain to the top 100 community foundations by asset size as of May 1, 2012. The table includes the community foundation name, amount of assets at the time of the survey, and fiscal year-end (FYE). Copyright 2012 by CF Insights. All rights reserved.